For everyone who has long sat on their surfboards, gazing out towards the horizon; who has tumbled time after time, expending all their energy trying to get out to an off-shore break; who has wished to explore further—we’re here to tell you that there is a solution. 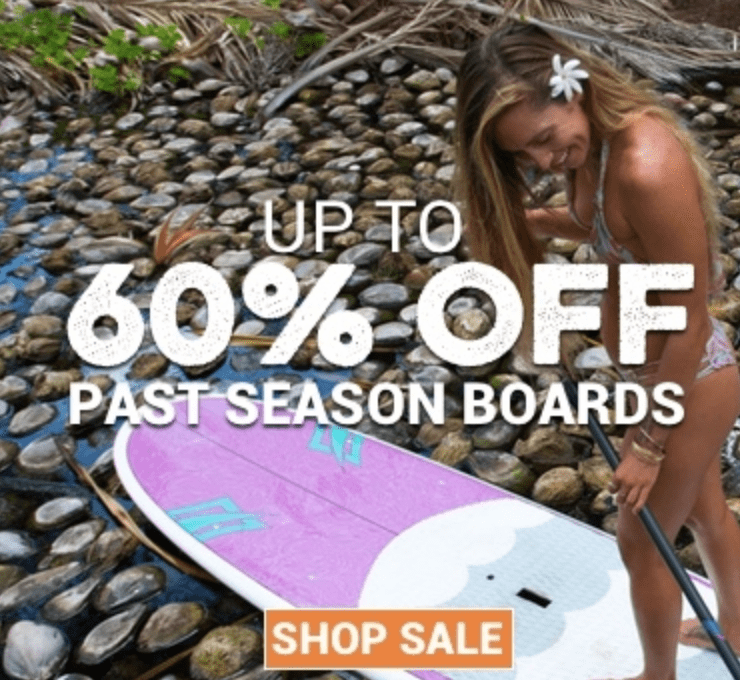 Stand-up paddle boarding is a revolutionary style of surfing that is more accessible, more efficient, and better suited to several ocean conditions. Stand up paddle boarding works out your upper body and core in a much more holistic way than surfing. With a paddle, you can engage your shoulders, abdomen and back with each paddle stroke, making it a great option for anyone who has endured a shoulder injury. You also wont twist your spine into a pretzel, which is a common occurrence for surfers trying to spot incoming waves over their shoulders. If you’ve spent any time researching which paddleboard is right for you, then you’ve come across one big distinction: inflatable vs. solid SUPS. 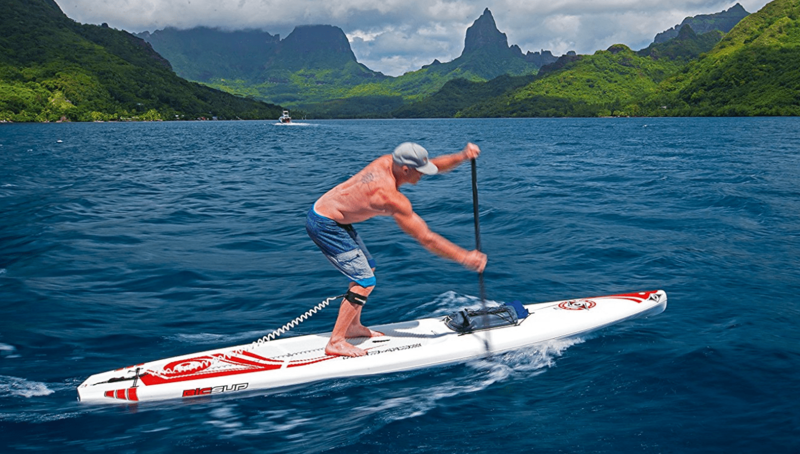 Especially if you’re a beginner, you’re not going to want to break the bank buying a fancy solid SUP, which can easily run you over $1,500. On the other hand, if you fall in love with the sport, like we have, an inflatable SUP might not be the right decision. Read on, and we’ll give you the full scoop concerning the pros of both types of boards, what to look for, and mention a few of our favorites. If you’ve ever seen an inflatable SUP in action, it’s true that it may look like a child’s toy. 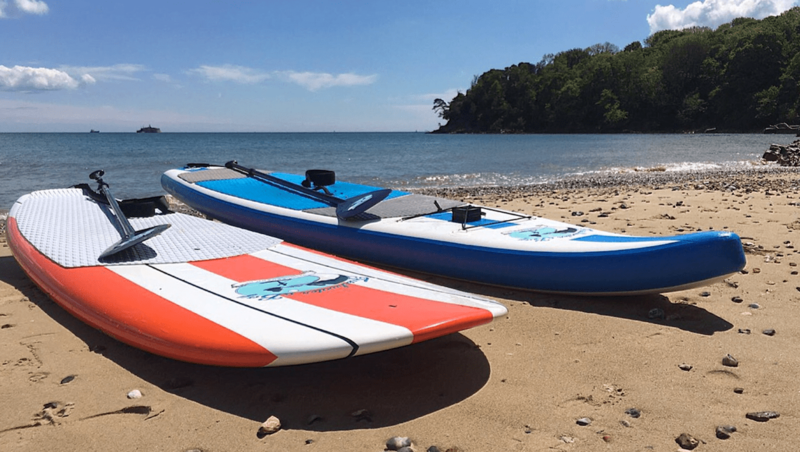 While this type of SUP is generally marketed towards beginners, the latest generation of inflatables has brought its performance a lot closer to solid bodies, and it certainly provides several advantages. Portability: One of the best advantages of inflatable SUPs is the ease with which you can transport them. They can easily be deflated and packed up in a backpack. If you’re heading out on a surfing trip where you’ll be camping near the beach and hitting a few different breaks, this makes for a huge plus. While your pals lugging their solid boards are struggling to get them around bends in the trail, or are getting blown around on exposed, windy stretches, you’ll be doing just fine. If you’re hitting a remote beach and you’re going to have to hike in, you’re definitely going to want an inflatable SUP. Transporting inflatable SUPs is also way easier than solid bodies—no roof rack is required. When the seasons change and you have to hang up the board for a couple months, inflatable SUPs are also incredibly easy to store. Durability: This topic is debatable, and doubtless many solid board SUPers will disagree, but we generally believe that inflatable SUPs are more durable than solid boards, at least when it comes to collisions. Most inflatables today are made from high quality or even military grade PVC with a thickness of several inches. If you’re hitting rocky breaks or using it for white water paddling, inflatable is the way to go. You’ll bounce off of rocks and without leaving more than a blemish. On the other hand, inflatable SUPs can be punctured. This might occur by beach on a bed of urchins or any kind of randomn accident. The good news is that 99% of punctures can be patched with either a product provided by the SUP company or a bike tire patch kit. Keep in mind: If you’re going to rock an inflatable SUP, you better have some solid inflation technology to take along with you. A normal bike pump should be fine. If you’re in it for the long haul, or you want the same amazing ride that you can get with your longboard, there’s no question that you’re going to want to pick up a solid body SUP. Ease of use: Paddle boarding is a tricky sport—at first—for the best of us. Both solid and inflatable boards have relatively similar later stability (side to side), depending on the width of the board. Like riding a bicycle, however, the faster you’re going, the more stable you are. Solid boards track much better in the water, they cut through choppy waves easier, and they don’t get blown around as much as inflatable boards do. If you’re looking for a great, clean ride, or if you’re putting down several kilometers with every trip, a solid board is the best choice for you. Quality of ride: For similar reasons as those stated above, solid boards are going to give you better performance when you’re racing down the face of a wave. Especially when you have any kind of wind that isn’t blowing directly off-shore—a common occurrence for people who venture further than prone surfers—you’re going to be happy you chose that solid body. When inflatable SUPs lose air pressure—which can occur just from a slight drop in temperature—they’ll lose their rigidity and bend in the middle. You will never face this problem with a solid board. 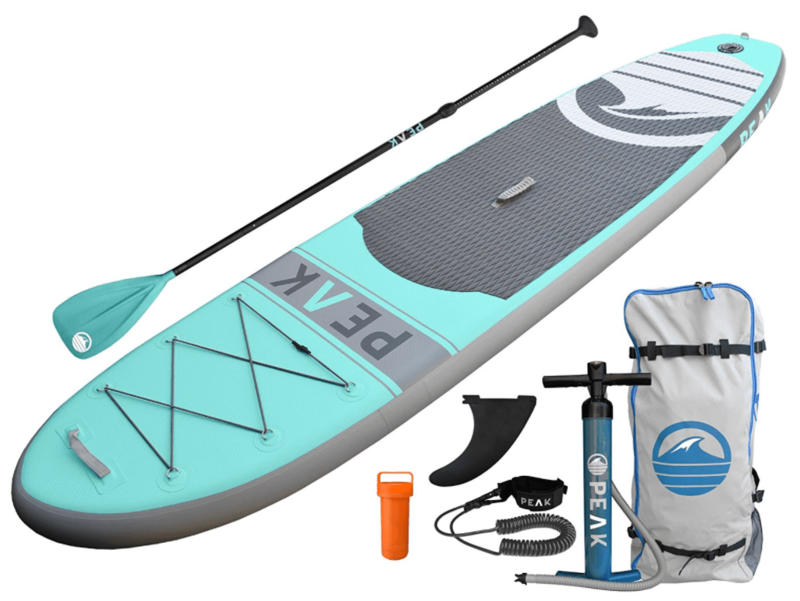 Peak Inflatable SUP: Peak’s take on the inflatable SUP is one of the best options out there. It stretches 10.5″ long and 31″ wide. It supports up to 300 lbs and it’s made out of 6″ thick military grade PVC, so you’re going to have to take a katana to this thing to properly puncture it. 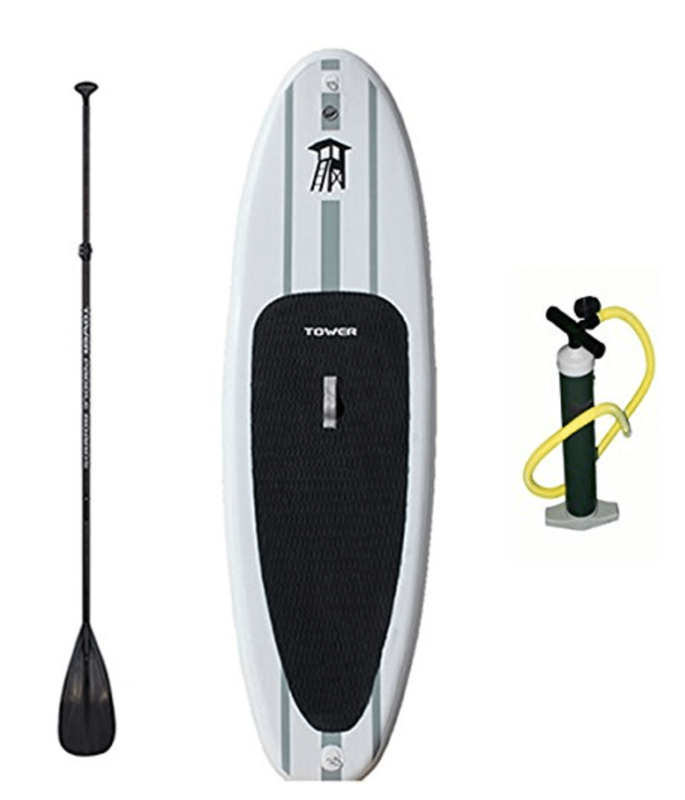 It also comes with everything you need, including a paddle, pump, leash, fins, and carrying backpack. Tower Paddle Boards iSUP : Tower has managed to nearly recreate the feel of a solid body SUP with their inflatable model. It can support 350 lbs of weight, is incredibly rigid, and is made out of military grade PVC. One of its best features is that, as it inflates, it maintains a slight upturned camber. Most inflatable SUPS sit completely flat, but this one will help you ride waves and makes for easier paddling. 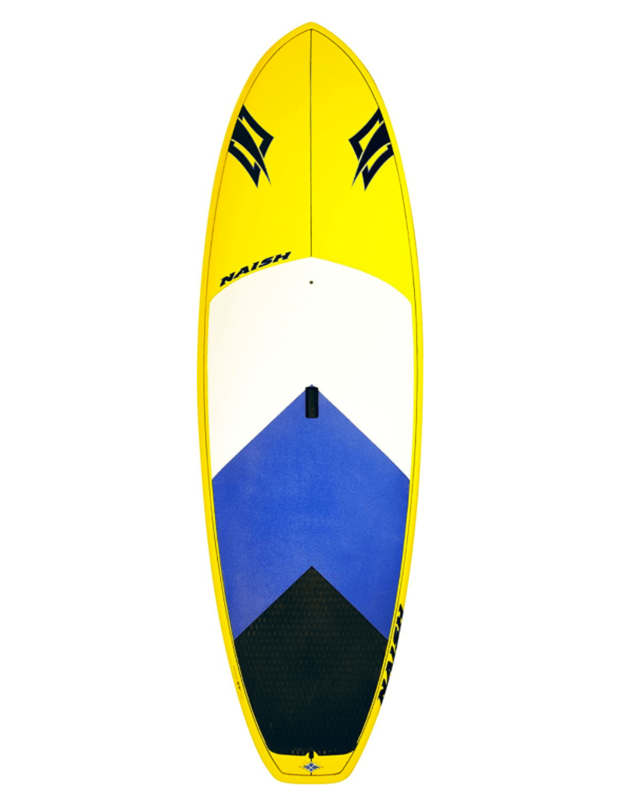 BIC-Sport ACE-Tec Wing: This is a great rigid board for any kind of SUP activity. It is incredibly stable and tracks like a dream through calm or choppy water. The deck is recessed, meaning you stand slightly lower than the upper reaches of the nose and tail. This gives you a lower center of gravity and keeps you on your board. That’s all, SUPers. After you decide on the best board for you, there’s nothing left to do but hit some Open water and have fun! Be sure to leave us your thoughts and keep an eye on our new paddle board reviews for 2017. Thank you for the input and heads up Cristina!